When Hyundai does something, it's fair to say it doesn't go in half hearted. Take the Ioniq. This is Hyundai's first ever production hybrid car and from first glance its immediately obvious that it's aiming to take on one car in particular - the Toyota Prius. 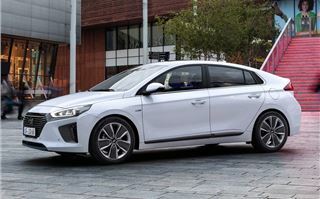 But the Ioniq is more than just a toe in the water for Hyundai - it's available in three different versions - a Hybrid, a Plug-In Hybrid and a fully Electric model. The Plug-In Hybrid model is expected to be the most popular, but that doesn't arrive until 2017. In the meantime we've had the chance to drive the standard Hybrid. 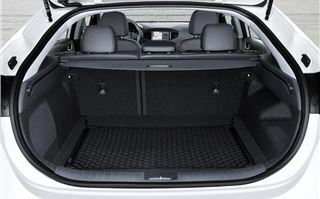 Priced from £19,995 it already has a signficant price advantage over the Prius, undercutting it by more than £3000. 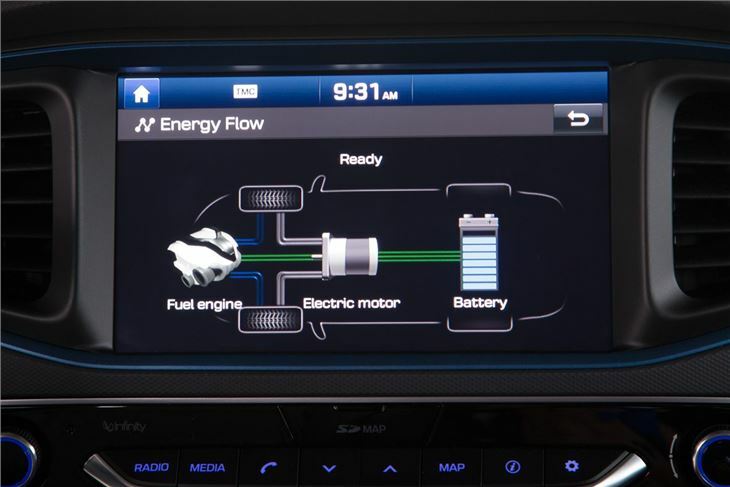 That gets you the SE model which is pretty well equipped with 15-inch alloys, DAB, Bluetooth, cruise control and a rearview parking camera. And all that kit is housed within a very nice interior. 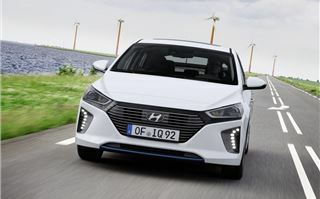 Hyundai continues to take big leaps forward with each new model and the cabin of the Ioniq is one of its best creations to date with a stylish design and a high quality feel. You could change that badge on the steering wheel to a Volkswagen and no one would bat an eyelid. But then why would you need to? Hyundai has come on leaps and bounds in the past 10 years and its status among savvy UK buyers continues to rise. All the controls work with a nice precise weight, the driving position is excellent, even for taller drivers plus the seats offer good long distance comfort. 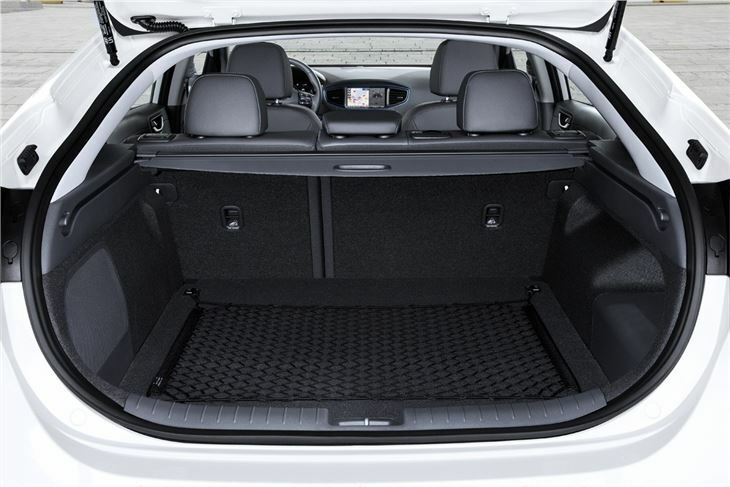 Not that the Ioniq is a car you'd buy for long distances. A diesel is still a more cost effective choice if you're going to battering up and down the motorway all day - here there's no benefit to having a hybrid. But if you do lots of short journeys and sit in traffic more often than not, the Ioniq is the ideal car. It has the usual near silence when pulling away and when the petrol engine does kick in, it's smooth and barely noticeable. Unlike the Prius - and indeed many other hybrids - the Ioniq comes with a six-speed DCT automatic rather than a CVT. This is a dual clutch gearbox but it's far better than many similar gearboxes with no jerkiness at low speeds and little hesitation. 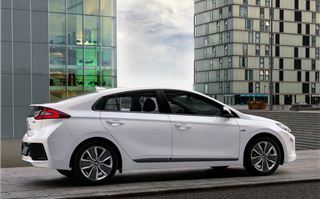 It means the Ioniq is enjoyably easy and stress free to drive, with none of the disconnected whine you get with a CVT. The Hyundai is also handy in corners too, feeling stable and reassuring. Sadly the ride lets it down. 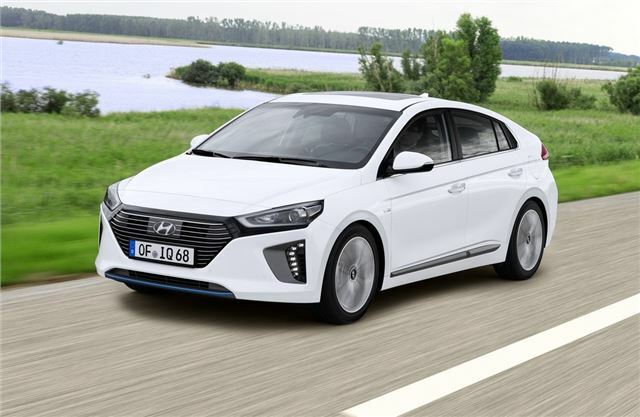 The combined weight of the 1.6-litre four-cylinder engine, electric motor and lithium-ion batteries appears to affect the way the Ioniq copes with potholes and poor quality roads. It's by no means terrible but the stiff suspension is at odds with the smooth nature of the rest of the car. It performs well enough though, with the electric motor and petrol engine producing a combined 141PS when needed along with 265Nm of torque. It's especially nippy around town thanks to the fact that two thirds of that torque is available from zero rpm. In everyday driving the Ioniq is never left wanting. On paper the Hyundai can't quite match the Prius for efficiency. But it's not far behind with an official average economy figure of 83.1mpg if you stick to a model on standard 16-inch wheels. Bizarrely, going for the optional 17-inch wheels drops this massively to 70.6mpg and sees emissions increase from 79g/km to 92g/km. Of course these figures are far from what you'll see in real world driving. Hybrids always skew the fuel economy tests so you'll do well to get anywhere near those claimed figures. 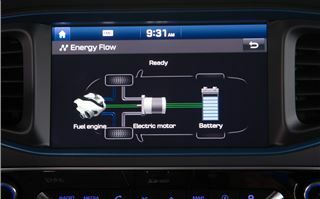 The Prius for instance, can officially average up to 94.1mpg but users in Real MPG are seeing closer to 55mpg. Not bad by any means but far short of what is claimed. On the plus side, the Ioniq is covered by Hyundai's standard five-year unlimited mileage warranty. A Toyota Prius gets a similar five year warranty, albeit it capped up to 100,000 - not than many owners will ever get near that. The Ioniq battery has a separate warranty for eight years and up to 125,000 miles. 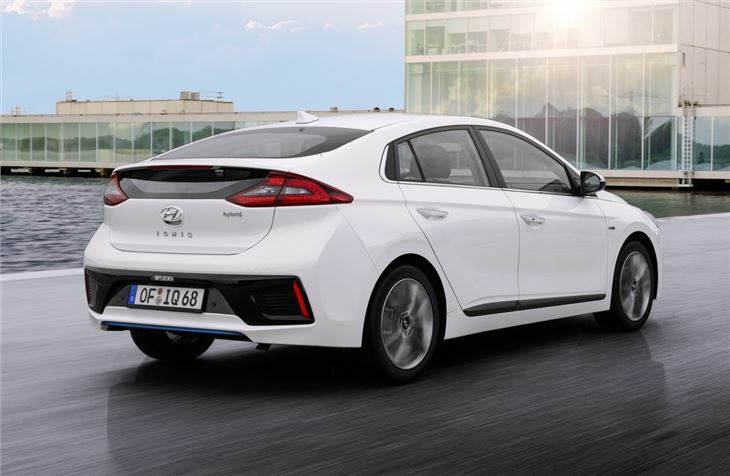 Hyundai's first ever hybrid is a very impressive car that's also good value against the competition - not only the Prius but also the Auris Hybrid. True, the ride isn't the best but that's the only criticism of an otherwise high quality and good-looking car. With the Plug-In model arriving next year it's appeal will expand even further. It appears the Ioniq will make more than merely a splash among hybrid cars. 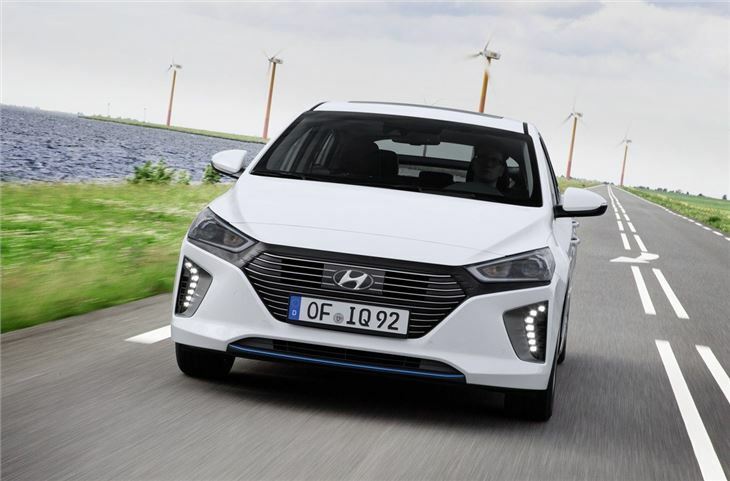 The Hyundai Ioniq Hybrid goes on sale in October 2016.